Dobrodosli! Learn Slovenian Online with our Experienced Native Tutors through Skype to find friendship and love or to travel and experience the exquisite culture or to teach Slovenian to your children! The Slovenian language or Slovene is spoken mainly in Slovenia situated in central Europe. It is also spoken in Italy, particularly in Friuli Venezia Giulia; in Austria it is spoken in Carinthia and Styria; in Hungary it is spoken in Vas and Croatia. Slovenian is classified within the South Slavic branch of the Slavic languages along with Croatian, Serbian, Macedonian and Bulgarian. The language shares many similarities with certain dialects of Croatian language as well as Serbian language. Despite the fact that Slovene is a relatively small country Slovenian language is one of the most diverse languages in terms of dialects. Even though the precise number of dialects spoken in the country is not known the dialects are typically classified into eight regional groups with substantial differences between each group. Contemporary Standard Slovenia serves as the official literary language. It is a composite of several different dialects. A distinctive feature of the Slovenian language is the presence of dual grammatical number. The Slovenian alphabet uses the Latin alphabets and has 25 letters. It has no letters x, y, w, and q, but has included three letters ?, š and ž. The Slovenian language is mostly phonetic, which means that it is pronounced as it is written. 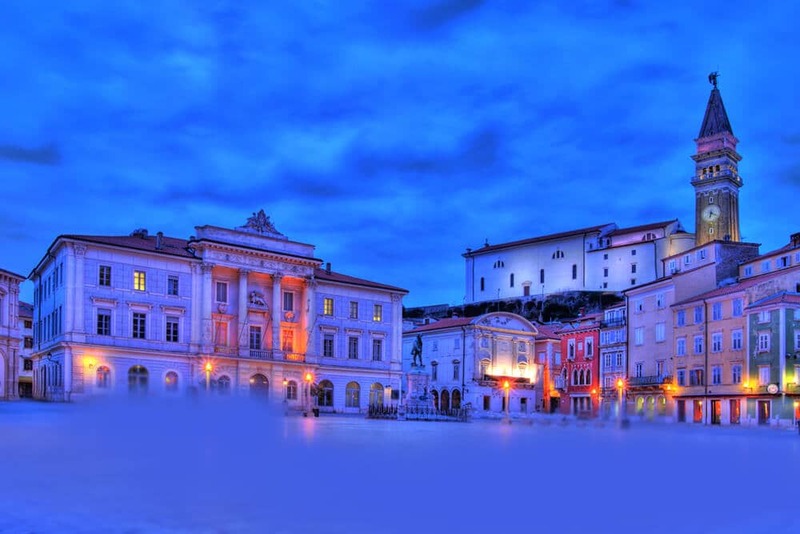 Slovenia is a small yet incredibly diverse country and has everything for an ideal holiday destination. Even a limited proficiency in Slovene will make your travel experience a memorable one. Slovenian language is considered as a national treasure as well as cultural icon by the Slovenians as the language had played a special role throughout Slovenian history. Learning Slovenian will earn you respect as well as appreciation from the locals. If you have business interests in Slovenia then learning some Slovenian will be an added advantage. Learning the language is not only a sign of respect, but shows that you are serious in your dealings with the local people. Do you want to impress the girl or guy next door or land an overseas job or expand your business or want to learn Slovenian for your children? Here is an effective way to learn Slovenian Online through Skype with our best Native Slovenian Teachers! So are you looking to learn Slovenian in an efficient and cost effective way from the comfort of your home, then you are in the right place. Our Slovenian language lessons via Skype will let you combine all the benefits of traditional learning with the advantages of online learning. Like the traditional classes you will learn from a native tutor but you will have the flexibility to set a schedule as per your convenience. You are guaranteed a personalized learning experience with our one-to-one lesson where your lessons will be customised as per your learning needs and learning pace. Our site offers a well-rounded approach to language learning, with focus on listening and speaking skills. We believe that the best way to learn Slovenian is by live conversation and this is exactly what our native tutors will focus while teaching you learn Slovenian. All our native tutors are experienced and dedicated professionals who can provide you the best coaching at a very cost effective price. By joining our Online Slovenian Learning course through Skype you can enjoy tailor made lessons and build fluency and confidence through our interactive online classes that are effective and fun! You can now take Slovenian classes one-to-one using Skype with a tutor of your choice. Our Slovenian lessons are custom, effective, comfortable, and fun. Pick a tutor NOW! Choose anything specific. Whether it is conversational Slovenian classes, business Slovenian lessons or just learning how to greet and impress a loved one. We can help you with them all.